The jCOM.J1708.UART device, as its name implies, converts SAE J1708 data into TTL level and vice versa. The board was designed to enable message collision detection according to the SAE J1708 standard. SAE J1708 is a standard used for serial communications between ECUs on a heavy duty vehicle and also between a computer and the vehicle. With respect to Open System Interconnection model (OSI), J1708 defines the physical layer. Common higher layer protocols that operate on top of J1708 are SAE J1587 and SAE J1922. The protocol is maintained by SAE International. SAE J1708 is basically an RS485 hardware interface without the typical 120 ohm termination resistors. 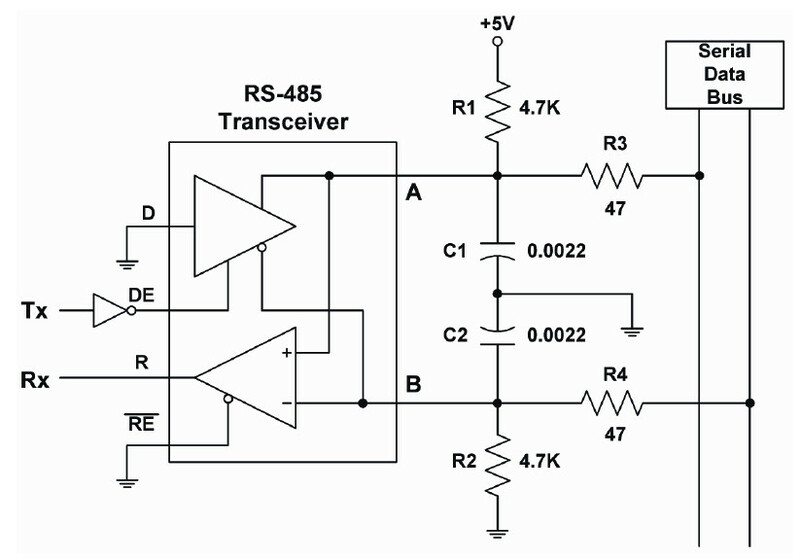 In typical applications, a half-duplex RS485 transceiver chip is used to connect to the bus. In order to avoid message collisions, the SAE J1708 protocol rules dictate that the device must monitor the data bus while transmitting the first byte (MID) of its message. First of all, it is strongly recommended that you acquire a copy of the SAE J1708 standard, in case you plan to develop your own J1708/J1587 application. Click the button below to add the SAE J1708 to UART Breakout Board to your wish list.